My days are filled with adult activities: I get up early for work. I pack myself a nutritionally sound lunch. I try my best to make it to the gym after I put in my full eight hours. I pay the bills on time. I meet all of my work and school deadlines (as well as those I set for myself). Some days I even clean the house. My daily habits have evolved as I have grown older, shaping me into the person I am and who I will become. Growing up is exciting in its own sense, each stage bringing more responsibility and more freedom—two viewpoints that should be contradictory, but at this stage of my life somehow are not. Even so, there are days that I wish I could age backwards and repeat the moments I loved that brought me here, a Benjamin Button longing of sorts. I was blessed with a sweet childhood, free of worry or real responsibility. I played outdoors until the sun went down. I used my imagination to invent games and produce neighborhood plays. I read books late into the night until my mother told me to go to bed. 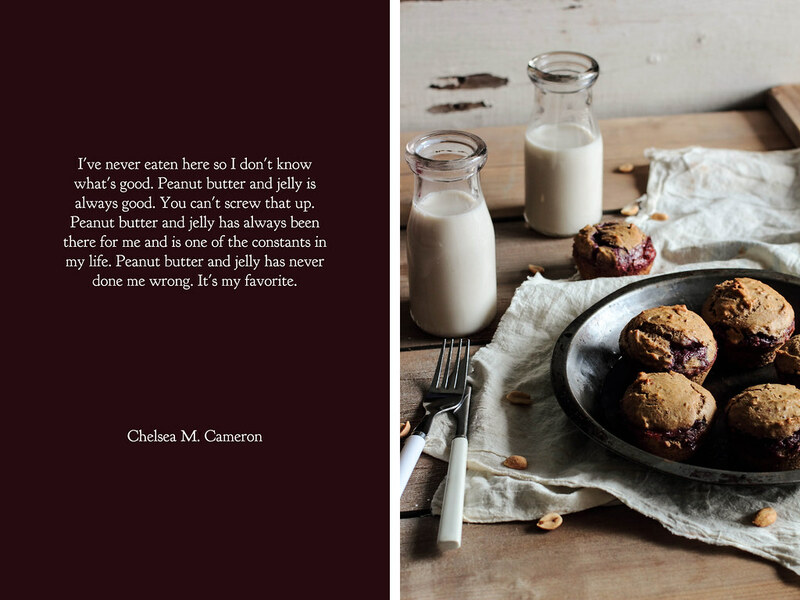 In as many ways as the activities of youth defined my childhood, so did the food. As a picky eater, my mother often repeated the same meals at the dinner table over and over again, just to be certain some nutrition would find its way to my stomach. My father cooked dinner every so often, making the same meal each time—noodles with crackers. The plain egg noodles mixed with saltine crackers browned in butter was a smell that often greeted me when I would come home late from piano lessons. With a side of summer sausage, this meal was one that topped my childhood favorites. Even so, as a picky eater, I ate more than my fair share of peanut butter and jelly sandwiches. When the food on the table looked unfamiliar, peanut butter and jelly would be on my menu instead. White bread, creamy peanut butter, and grape jelly were the ingredients to create my perfect sandwich. As I have grown older, peanut butter and jelly sandwiches have become much more scarce in my diet, reserved for days when the cupboards are bare or I want to reignite a bit of childhood nostalgia. Nowadays I opt for a healthier take, with whole wheat bread and crunchy peanut butter for a distinct texture. 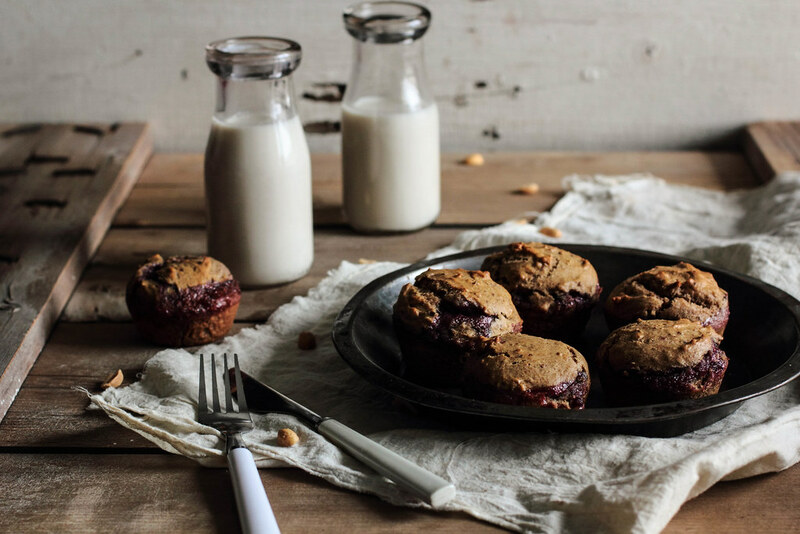 These Peanut Butter and Jelly Muffins may have gotten a grown up makeover, but the spirit of childhood rests just below the surface, yearning for a bite. 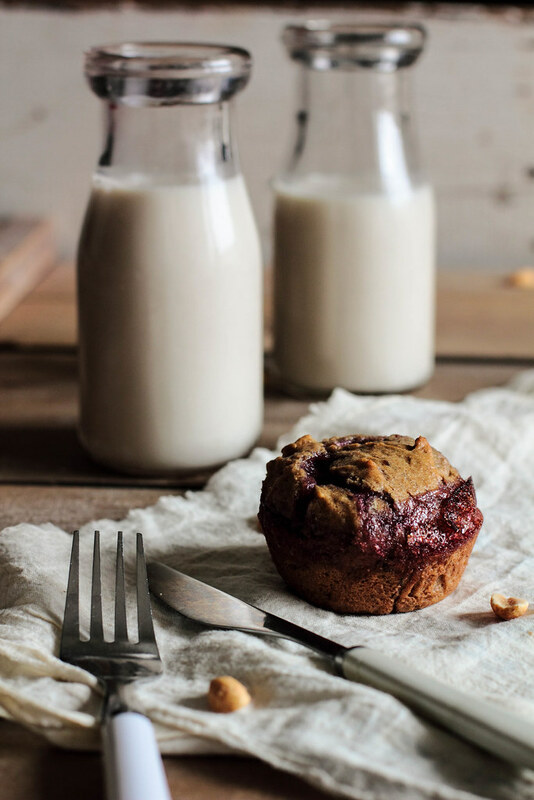 Peanut Butter & Jelly Muffins are a fun spin on a childhood favorite. 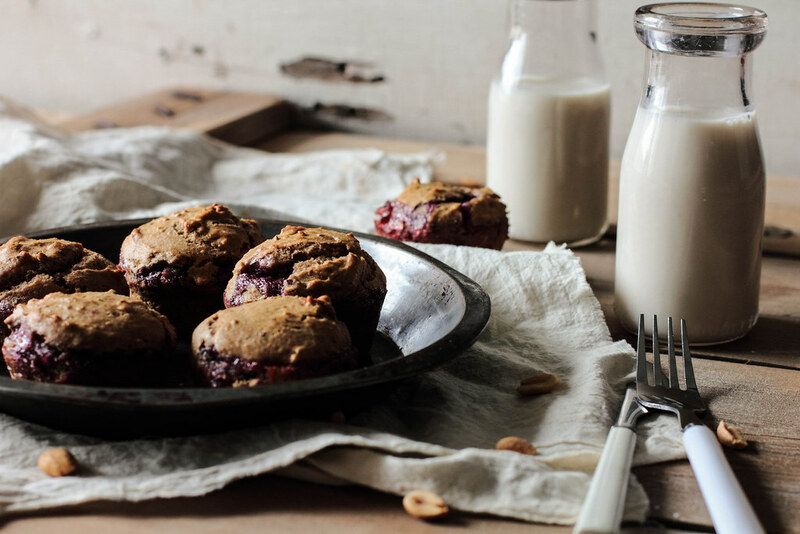 Whole wheat flour and ground flax meal add a healthier spin to these peanut butter muffins. A spoonful of grape jelly is added to the center of the muffins, which is absorbed into the rest of the muffin while it bakes. Be careful when layering the jelly in the center of the batter; if it is exposed, it likes to spread out onto the muffin tin. 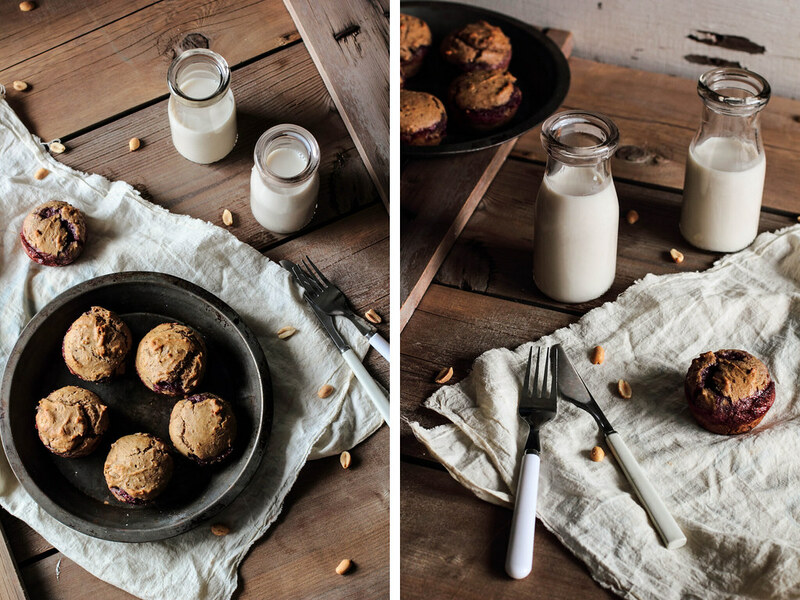 These muffins may not win any beauty pageants, but the taste will absolutely make you forget it.